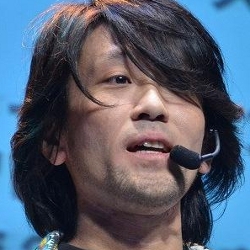 Masayoshi Soken is a composer and sound editor at Square Enix, best known for his roles on sports games. Born on January 10, 1975 in La Paz, Mexico, Soken grew up in Tokyo and attended the Tokyo University of Science. 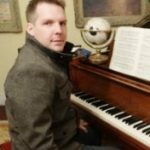 Having long-held a passion for music, the composer applied to join Square’s sound team in 1998 and impressed interviewers with his exuberant personality and passion for rock music. Considered a good fit for sports games, he initially worked with Kenji Ito as a composer and sound designer on the PlayStation 2’s Gekikuukan Pro Baseball: The End of the Century. He produced some punk rock compositions for the score in order to capture the excitement of a sports arena. He also brought realism to the experience by integrating voice commentary and crowd noises throughout the game. He subsequently took a similar role on Nichibeikan Pro Baseball: Final League, before offering a number of rock performances on the soccer simulator World Fantasista. As the titles compared unfavourably to their Konami counterparts both commercially and critically, the sports development team dissolved thereafter. In 2002, the services of Soken and several other members of the Square Sounds subsidiary were outsourced for Chunsoft’s sound novel Kamaitachi no Yoru 2. Part of the sound design team, he helped to enhance the mystery and horror of the ambitious title. Given his experience with vocal themes and love of pseudonyms, it is suspected that he also created the duet “Endless Love, Endless Road” to the Final Fantasy X tribute album, but official confirmation awaits. The artist returned to the spotlight in 2005 with the launch of the Square Enix Music website and his blog Battle of Soken. He composed the fanfare on Square Enix Music TV, a monthly video feature where Udatsu Tanaka and Lucy Tsukamoto discussed new album releases and interview Square Enix’s composers. He made a live appearance with the show’s organisers at the Square Enix Party 2005, helping to spread his name in the fanbase, before exposing himself half-naked to the world while being beaten up by two robots on a bizarre pencil commercial. In another eccentric outing, he also created a song in the style of a sports commercial for the Front Mission 5 soundtrack, “Blue Stream”, led by a choir of out-of-tune hooligans. In 2005, Soken also worked on several RPG titles in his official capacity as a sound editor. He carefully integrated the orchestral score and sound effects of Drakengard 2 to maximise the dramatic impact of the gameplay and cinematic sequences. He took a similar role on Front Mission 5, complementing the Hollywood aspirations of the game. After years of being treated as a spare part, he was asked to create the entire score for the basketball game Mario Hoops 3 on 3 — a surprising basketball crossover from Square Enix and Nintendo — in 2006. 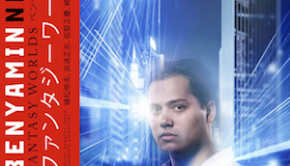 Aided by his prior experiences on sports games, he created exciting music for the game’s matches and channelled influences from mainstream pop, rock, and techno music throughout. Given the title featured Nintendo’s characters, he nevertheless took a youthful and humorous approach throughout, in contrast to his more raw sounds on earlier sports simulators, and even arranged some Mario classics. Soken was also a contributor to the Square Enix Music Official Bootleg series, writing an abstract industrial rock remix of The Bouncer’s theme song on the first volume and a French-inspired composition on the third release. Having shown he was worthy of more scoring assignments, Soken was assigned to numerous projects in subsequent years. Reuniting with Kenji Ito, he took a supporting role on the score for 2007’s Dawn of Mana. Arranging a number of classic Mana themes in slow and fast variations for the game’s arena matches, he often brought a rock flavour to the whimsical originals and interlaced most renditions with his electric guitar performances. He also contributed some fanfares and other minor compositions to the score. Supporting Square Enix’s explorations of alternative media, the artist produced some bossa nova tunes on the flash game Elebest and went on to reflect his exuberant personality with short scores to other browser titles, Zenobuster and Game Brain. In further surprising roles, Soken created the opening theme song “Koi Kurage” for a radio show based on the animation Toradora!, and created some uplifting J-Pop and J-Rock songs for the online character editor Party Game. He further channelled his French influences with a contribution to the original album Music for Art, blending piano wanderings with abstract electronic elements. Even in these minor projects, Soken took the time to offer creative and polished compositions. Soken was responsible for the music of the DS’ Nameless Game (aka Nanashi no Game), a horror title inspired by The Ring featuring a cursed RPG. For the first-person horror segments, he paid meticulous attention to sound effects design to produce eerie soundscapes supplemented with realistic noises and voice effects. In a further innovation, he used the DS’ two speakers to create a surround sound that enhanced the 3D gameplay. He integrated music sparingly throughout these segments, but supplemented crucial scenes with ambient cues. For the 2D RPG segments, he produced a highly melodic main theme inspired by classic NES soundtracks. He rendered the theme with 8-bit synth to achieve an authentic sound and presented variations of the tune throughout the gameplay. He returned to develop the sound for its sequel Nameless Game: The Eye, developing the ambient sound design of the 3D portion and producing music imitating a platformer for the 2D portion. He also created chiptune compositions for the DSiWare adaptations of the game, Cursed Game: Blood and Cursed Game: Prison, which focused entirely on the 2D platform and RPG elements. While developing these horror titles, Soken worked as a sound designer on the fantasy card game Lord of Vermilion in 2008. As the title was Square Enix’s first project for arcades, there were numerous obstacles to overcome in the audio department. Soken maximised the impact of the game’s rock score by Nobuo Uematsu using streaming technology, while developing cutting-edge sound effects with Kenichi Mikoshiba to engage gamers. He returned to this role on Lord of Vermilion II, which made a strong impression in Japanese arcades with its booming orchestral score by Hitoshi Sakimoto. He also reunited with the development team on the PSP’s Lord of Arcana and the PlayStation Vita’s Lord of Apocalypse. The scores featured reprises and arrangements of themes from the arcade titles, although the gameplay and storyline markedly differed. In collaboration with other experts, he persevered to ensure the audio of both titles — from music to sound effects to voice recordings — was blended cohesively and fitted the games. With this succession of demanding roles, Soken had proved he could handle more mature efforts. In his largest role to date, Soken was appointed sound director for the MMORPG Final Fantasy XIV. He supervised a team of internal and external sound creators who handled all aspects of audio production — music composition, sound effects design, voice recording, audio mixing, and integration. He briefed composer Nobuo Uematsu on the musical approach for the game, yielding a diverse high quality score. In addition, he brought new drama to the cinematic sequences with 5.1 surround sound mixes and integrated realistic sound effects for exploring the game’s fields in real-time. 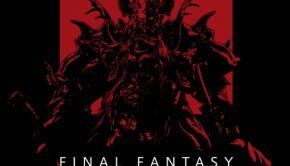 Following the unprecedented negative reception to the initial version of the game in 2010, the MMORPG has been extensively patched and is being remade as Final Fantasy XIV: A Realm Reborn. Returning as sound director, Soken has coordinated all audio aspects of this development. Since 2011, Soken has also personally composed a range of music for the game’s patches, pushing the soundtrack to a new level with several epic battle themes and beautiful setting tracks. 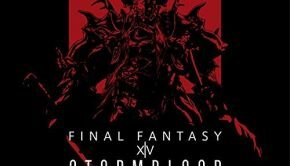 While managing the chaotic ongoing development of Final Fantasy XIV, Soken has continued to be involved in other projects. Creating approximately half the score for Mario Sports Mix, he maintained the upbeat flavour of the series, while offered many daring experiments for the game’s matches; his compositions spanned nostalgic rock performances, snazzy jazz improvisations, and motivating action-packed orchestrations. In further horror roles, Soken has led the audio for the Wii’s Night of Sacrifice (aka Ikenie no Yoru) and the iOS’ Nameless App; once again blurring the boundaries between music and sound design, he incorporated few conventional pieces to these titles. Alongside Ryo Yamazaki, Soken also created a range of youthful tunes for Square Enix’s first bishoujo title, the iOS’ Otome Break. Continuing to support the company’s record label, he also recently additionally made a guest composition for Sengoku IXA’s image album. Despite a slow start and some unexpected outings, Soken has proven he is a versatile asset to Square Enix in recent years. © Biography by Chris Greening (September 2007). Last updated on December 30, 2012. Do not republish without formal permission. Posted on December 30, 2012 by Chris Greening. Last modified on March 21, 2014.